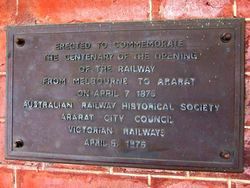 A plaque commemorates the centenary of the opening of the railway from Melbourne to Ararat in 1875. 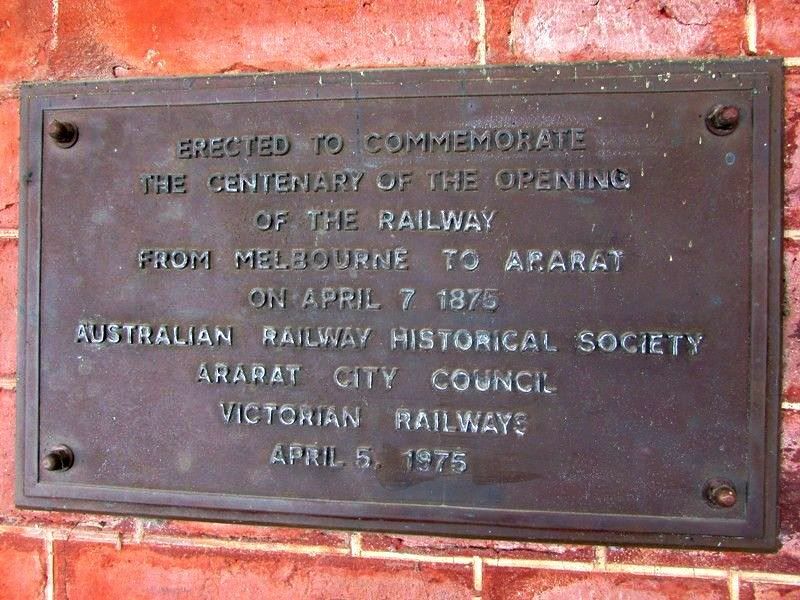 Another link in the chain of railway communication throughout the colony has been added by the completion of the Ballarat and Ararat Railway, the opening of which was celebrated by a demostration at Ararat on Tuesday. 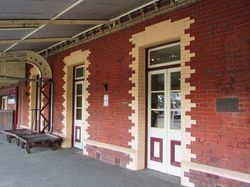 This line was authorised under the Railway Construction Act of 1871, introduced by the Duffy Government, which also included the Castlemaine and Dunolly and the Ballarat and Maryborough lines, the first railways constructed on the light line principle. The length of the Ballarat and Ararat Railway is 57½ miles. The Australasian (Melbourne), 10 April 1875.